Balance Point Massage Therapy Clinic supports our local and global community by working with organizations in various degrees to provide much needed San Diego massage therapy services. You will also find us at San Diego's local street fairs and events exposing ourselves to the public so that we may continue to let everyone know that we are here when you need us. Our community outreach is just one facet of how we achieve our vision of being a community based business. It is our belief that in order to gain the support of the local San Diego community, we must show our support of the San Diego community. We do this in different capacities and to different degrees. The list below is just a small example of some of the events we have participated in. We also donate to charitable organizations and companies for employee recognition. Supporting our local San Diego community since 2003! Every Saturday Morning we are out with Team in Training offering massages to the deserving participants who are either doing a full or half marathon. They are also fundraising for Leukemia/Lymphoma Society and we donate massages to their fundraising events to help them raise more money. We are located in the annual Hillquest publication and as part of the Kick Off Party we participated in the Hillquest Block Party. It was a great time with music, food and lots of fun. If you have any special events, golf tournaments or corporate events where you would like us to come and give massage, give us a call and we would be more than happy to be a part of your event. Not currently in action. We used to be out on the corner across the street from the farmers Market we offer an opportunity to sample a free 10 minute massage. You will be able to meet some of our massage therapists in person as well as enter to win a free 1 hour massage at Balance Point Massage Therapy Clinic. While you wait for your complimentary massage you can check out our beautiful clinic where you will enjoy hours of massage on a more regular basis. Our availability on Sundays varies from week to week. Call us to find out our Sunday Open House schedule for the week. We participated at Balboa Park offering Chair Massage, Table Massage and Zen Shiatsu by Donation. Many joined us in support of our precious planet, Mother Earth! All of our therapists enjoyed giving massages to all who came to the Fair. On November 6, 2010 the west coast’s tallest waterfront building becomes the setting for the 2nd annual fundraising event that challenged and inspired Southern California. Enjoy a breathtaking 360 degree view from the top of San Diego and push yourselve to the limit by rappelling from the 33rd story of the spectacular Manchester Grand Hyatt. difficulty, danger, pain, etc., without fear; bravery. 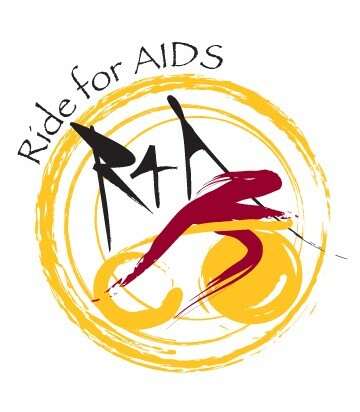 It was a beautiful day at Spanish Landing where we spent the morning offering massage for the participants of the Ride for Aids to benefit Being Alive. Besides donating our time we were able to raise an additional $200 for the cause. Everyone enjoyed their massage and were very thankful for us being there. We enjoyed being able to donate our time and we take great pride in being able to help out another great cause in our local community. It feels good to BE ALIVE! Vanessa donating her time to the cause!